Alternative and Complimentary Therapies: Do They Work? Unconventional medicine is hard to define. What is common to these therapies is that they do not conform with the beliefs or standards of the conventional mainstream medical establishment or accepted standard of care. These standards can also be culturally dependent, which may create further confusion, i.e., traditional Chinese medicine is considered unconventional in the United States, whereas it is a standard practice in China. Also, with unconventional therapies, their proof of effectiveness is most often conveyed through personal anecdote rather than stringent, evidence-based criteria reached through multiphase clinical research. Doctors often have a hard time recommending them for treatment because they lack the experimental evidence for effectiveness and safety. That being said, there are a great deal of complimentary treatments that integrate well with typical practice. Meditation, relaxation, imaging, prayer, massage, and dietary supplements are just a few of the interventions in the broad class of complementary therapies. These approaches to healing are not in conflict with conventional Western medicine; rather, in most cases, they can be effectively integrated into standard medical practice. Many of these treatments likely help, and at worst, do no harm. On the flip side, alternative therapies are not intended to be integrated into conventional therapy; rather, they are offered as a complete therapy intended to be used instead of the standard of care. Unproven by evidence-based criteria, pharmacologic treatments comprise the bulk of alternative therapies. These therapies are particularly susceptible to quackery, and false and excessive claims and high-profit motives are common. I understand why these unconventional treatments seem appealing. Mainstream medicine has become an increasingly technological and impersonal field with long wait times, burdensome costs and hurried doctors that has morphed healing away from the warmth and confidence most want form their caretaker. Using these alternative therapies frees healing from the sterile scientific nature of medicine, with complex, unpronounceable medication regimens, side effects, diseases with poor outcomes all explained with jargon and statistics. Unconventional therapies can be much more friendly and seem more holistic and in tuned with man people’s ideal of the healing process. Unfortunately, they are not as effective most of the time. I often have had patients receive unconventional treatments. I think that they can be beneficial but there are a few guidelines that I suggest my patients follow. First, avoid any practitioner of any unconventional (or for that matter, mainstream) method who is evasive. People who practice healing techniques that they believe in will want to share them with your other doctors, not hide them. Second, avoid treatments that are touted to work only if you stop your traditional treatments. Third, avoid practitioners who have exclusive access to the cure but will not tell anyone what it is. Practitioners who truly believe in what they are doing want to share their successes. Fourth, beware of the motivations of the people making recommendations. It is unusual for natural healing techniques to be very expensive. If an exclusive treatment is being suggested and is very expensive, examine the motivations of the prescriber. Be aware that most unconventional therapies are not covered by insurance, given the absence of supporting data from well-designed clinical trials. Finally, pick an unconventional therapy that you feel good enough about to discuss with your physician. Your participation in restoring or maintaining your health is absolutely essential. The success of many alternative treatments depends in great part on your belief in the potential of the therapy to improve your health. If you truly believe in the therapy, be willing to discuss it not only with your family and friends, but also with your physician. Do you have an unconventional treatment that you swear by? Have you ever been fooled by unconventional therapies that didn’t work? Have questions about an alternative therapy? Let me know in the comments section. 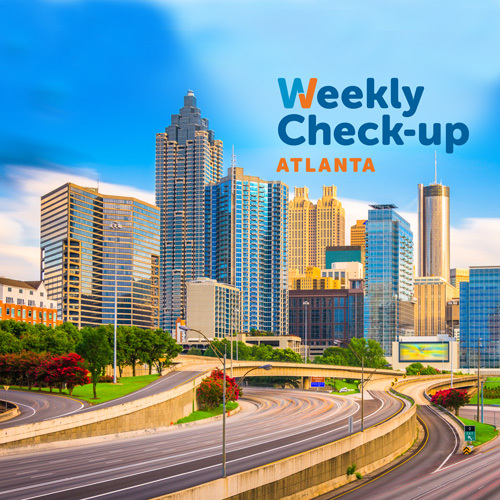 https://weeklycheckup.com/wp-content/uploads/2017/11/atlanta_500x500-1.jpg 500 500 johnlenz https://weeklycheckup.com/wp-content/uploads/2018/01/wcu-logo.png johnlenz2012-02-02 20:41:452017-11-27 18:39:25Alternative and Complimentary Therapies: Do They Work?